You can’t see it, but sometimes you can smell it. Indoor air pollution can occur from a huge variety of chemicals, products, even pets. It can aggravate, irritate, and in some cases cause serious harm. Some of the pollutants have been in human homes since our cave-dwelling days. Combustion from fire can create harmful chemicals. Others have only been introduced to our homes in modern times. And some come from the natural environment, including bacteria and mold. All combined, indoor air pollution causes 3.8 million deaths worldwide each year from diseases such as stroke and lung cancer. Whatever the cause, and wherever it comes from, being able to identify indoor air pollution can help you and your loved ones breathe easier. It may also reduce your risk of serious long term health problems. In the following slides, discover some of the common sources of indoor air pollution that you can learn to avoid for a cleaner, safer home. Pollutants can cause a wide range of short-term and long-term health problems. 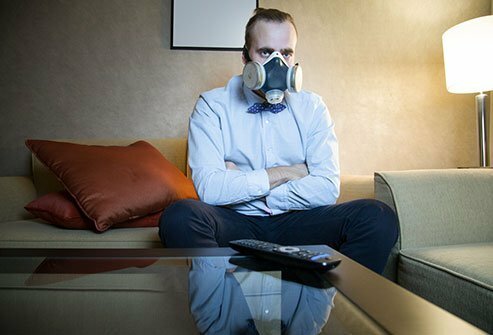 In the short term, exposure to high concentrations of indoor air pollution can cause eye irritation, headaches, nose and throat irritation, fatigue, and dizziness. Sometimes the symptoms resemble asthma, while others resemble cold symptoms. That can make it difficult to recognize the problem. Long-term health problems can be quite serious. Sometimes years after being exposed, a person can suffer heart problems, respiratory sickness, and even cancer. It’s worth noting that there is much uncertainty about what chemicals cause these problems, and at what concentration. Adding to the difficulty, some people are unusually sensitive to certain pollutants. When a new carpet is installed, there’s a very good chance it will release chemicals from its vinyl backing and the glue used to hold the carpet to the floor. This release of chemicals is known as off-gassing. Some of these chemicals have been associated with headaches, dizziness, nausea, shortness of breath (dyspnea), and asthma-like reactions. Small kids may have particular difficulty, as they spend their time closer to the carpet. Kids who suffer from asthma and allergies may have a particularly rough time depending on their sensitivity. These chemicals can be released for as long as five years after a new carpet is installed, but the majority of the off-gassing takes place in the first few months. The EPA recommends heavy ventilation for at least three days after installation. That means keeping fans moving and windows open. A HEPA air filter is a good choice, too. If possible, you may just want to leave the home for a few days. 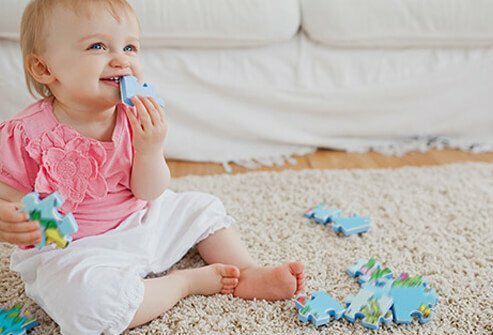 If you or your family are especially sensitive to these chemicals, carpeting may not be the best choice. Consider bare floors with rugs instead, or selecting a carpet with natural fibers. Household paints are full of volatile organic compounds, also known as VOCs. VOCs can cause health problems in high enough concentrations, and a fresh coat of paint may just do the trick. Ever notice a headache after painting? Now you know why. Most of the VOCs released in fresh paint are gone by the time that paint is dry—but not all. Some that may linger can put you and your family at risk. Some of these VOCs are known carcinogens—meaning they have been linked with cancer. These chemicals include methylene chloride and benzene. There’s good news, though. Most major paint manufacturers offer low- or no-VOC options, and some offer all-natural paints as well. These can be more expensive though, so you may want to consider how sensitive your family is and how much time they will spend in the room being painted. People have been buying non-stick cookware since the 1940s. That doesn’t mean it’s safe, though. One of the chemicals used in the past to make these pots and pans has been linked with kidney, thyroid, prostate, bladder, and ovarian cancers. The chemical responsible, PFOA, has largely been eliminated thanks to an agreement between major manufacturers and the EPA. However, a second toxic chemical can be released from superheating your nonstick cookware. 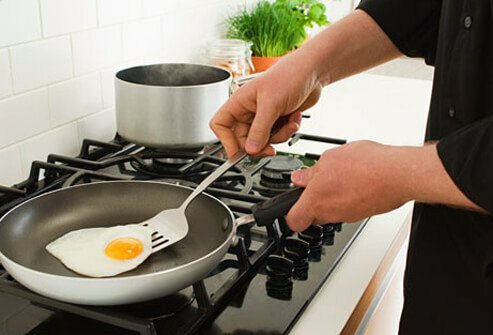 Nonstick cookery releases toxic fumes when it heats up over 500 F. This can lead to symptoms known as “Teflon flu,” and it can even kill pet birds. Be careful not to overheat nonstick pots and pans. If you need to sear or otherwise superheat your food, use cookware made of a different material such as cast iron to avoid these problems. 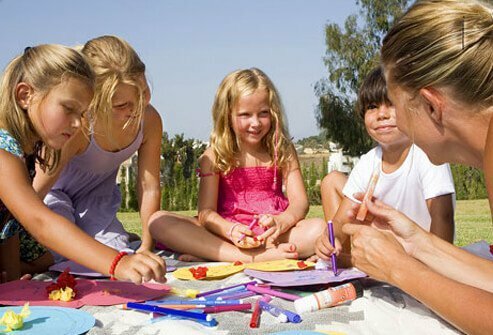 You and your kids will breathe easier if you take that craft project outdoors. Lots of arts and crafts supplies can expose you to unwanted fumes. These include paints, glues, and markers—even some of the “nontoxic” types. The same is true for polymer clays, which can release toxins if they are overbaked. So for fun and safety, consider taking your next big creation outside. What do you use to clean your home? Chances are you use multiple cleaners, sanitizers, and disinfectants when you scrub down your surfaces. When these substances interact in the air you breathe, they can form complex VOCs that have been linked to various health problems. 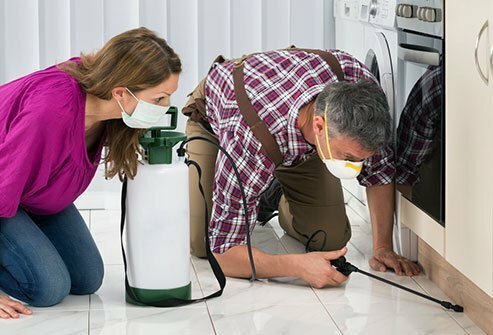 One study found that the risk of asthma and other respiratory problems increases the longer someone has spent as a professional cleaner. Similar but limited evidence has been found of these same effects at home, too. Sprays seem to be particularly problematic—think glass cleaners, air fresheners, and furniture sprays. One study associated these with a 100% higher chance of asthma diagnoses, as well as other health problems. Chlorine bleach seems to be a special case. Bleach sanitizes, which may be why households that use it report a lower risk of eczema, asthma, and allergies. However these households also have a higher than average incidence of respiratory problems. Is Your Dry Cleaning Safe? Most dry cleaners rely on a chemical known as perchloroethylene. That’s a mouthful, yes, but understanding what this chemical does could help you protect your health. The chemical remains on clothes to varying degrees, and studies have shown that it causes cancer in animals. Dry cleaners are supposed to remove most of the chemical by recapturing it for later use. But not all do. If you show up at a dry cleaners and find that your clothes have a strong chemical smell, tell the cleaner you won’t accept than until they’ve had time to properly dry. If it keeps happening, consider switching cleaners. Secondhand smoke is deadly. Since 1964, the CDC estimates that a quarter of a billion nonsmokers have died from health problems related to secondhand smoke exposure. It’s hard to avoid, too. Secondhand smoke can’t be eliminated by filtering it, ventilating it, or separating smokers from nonsmokers. The health problems this toxin poses to children is different from adults. Children are prone to respiratory symptoms and infections, as well as ear infections. For kids it makes asthma attacks more frequent and more severe, and it has been associated with a greater risk of sudden infant death syndrome. Adults are more at risk of heart disease, stroke, and lung cancer when they are exposed to secondhand smoke. The best strategy for protecting yourself from secondhand smoke is to avoid smoke altogether. 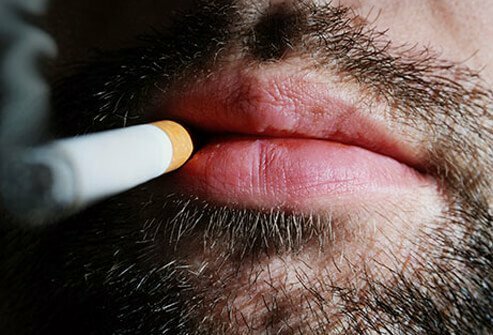 If you smoke, quit. Don’t let people smoke around you or in your car—whether or not the windows are open. Go to restaurants that don’t allow any smoking. If you have children, be sure that their daycare does not allow smoking. 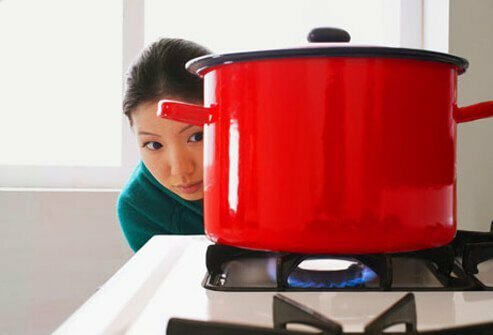 If you live in one of the many homes that use natural gas stoves, you’ll really want to pay attention to this. The convenience of natural gas is countered by the noxious gases these appliances emit: carbon monoxide (CO), nitrogen dioxide (NO2), and even a bit of formaldehyde. One study found that CO and NO2 levels are substantially higher in homes with gas ovens, especially in the winter when people are less likely to open their windows. And they often were higher than federal and state health standards recommend. Formaldehyde levels were less of an issue. Fortunately there are ways to address these problems. One is to make sure your stove has a ventilator hood, and also to make sure you’re using it regularly. Some people in colder climates may avoid using theirs since they send warm air up and out of the home. If you’re reluctant to use a ventilator hood, you could also switch to an electric model. Using wood or charcoal to heat your home may be a quaint way to stay warm, but it also adds harmful substances to the air you breathe. Worldwide nearly half of all people use simple stoves or open fires to keep warm. And that has led to some extremely unfortunate consequences. More than half of all pneumonia deaths in children under 5 are caused by soot. Additionally, more than 4 million people die premature deaths connected to cooking using solid fuels (including wood and charcoal). If you use a solid fuel furnace or fireplace, you can avoid these health hazards by modernizing your heating. More efficient heating methods powered by electricity, natural gas, propane, or fuel oil could be better choices for preserving and protecting your family’s ongoing health. 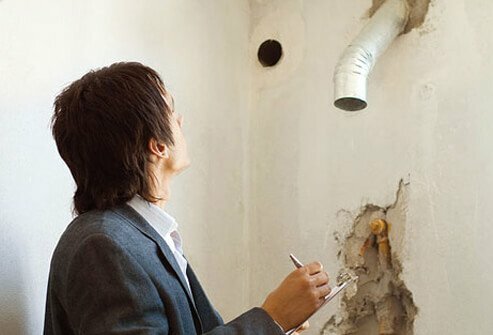 Although switching your heating method can be expensive, there are government programs in the United States that can help absorb these costs. Is There a Radon Leak in Your Home? Radon is a radioactive gas that bubbles up from the ground as naturally occurring uranium breaks down. And if your home has cracks, a basement, or a crawlspace, this odorless gas can find its way in, raising the risk of lung cancer in your home. And that’s true of one out of every 15 U.S. homes, according to the EPA. Also, it doesn’t matter if your home is new or old—homes of any age can potentially be affected. Since this radioactive gas can’t be seen, smelled, or tasted, it takes a special test to know if your home has a radon leak. Fortunately this is a test anyone can do for as little as $10. If you want one, you can find a testing kit at a discount by contacting the National Safety Council’s Radon Hotline: 1-800-767-7236. The next time you whip out an air-freshening candle, plugin, or spray, consider what else you may be releasing into your air besides the fresh scent. Air fresheners have been found to contain phthalates, formaldehyde, and other harmful chemicals, and often those chemicals are not listed among the product’s ingredients as they may be considered trade secrets. One study found phthalates in 86% of the air fresheners it tested. What are phthalates? Phthalates are used commercially to soften plastics, make nail polish more adherent, and can be found in perfumes as well. But these chemicals are also known to interfere with hormone production, reduce sperm production, and cause birth defects. While this may be cause for concern, some experts say the research hasn’t proven these products are dangerous. While these chemicals exist in many air fresheners, it hasn’t been proven whether they are able to escape our body’s natural air filter—our lungs. But if you have children, remember that smaller amounts of toxins can be more dangerous to their little bodies, so extra caution may be best. Pretty much everyone has some amount of formaldehyde in their homes. 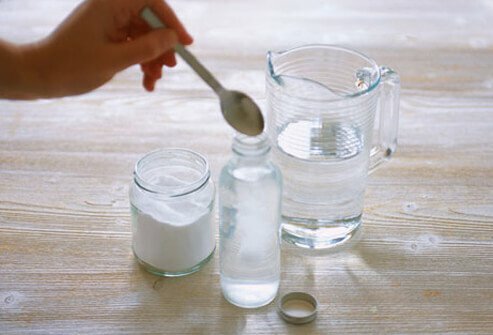 The organic compound known for its use as an embalming fluid is also used in various household products, and when it is released into the air, formaldehyde can irritate your skin, eyes, nose, and throat, and may cause breathing problems. Home products with formaldehyde include wood furniture such as cabinets and items using particleboard or plywood, as well as laminate flooring. These products release most of their formaldehyde after two years. But what if you’ve recently furnished your home? There are still ways to reduce the formaldehyde from the air you breathe. Try opening up the windows for a few minutes every day. Keep your home temperatures cool. Don’t allow people to smoke in your home. 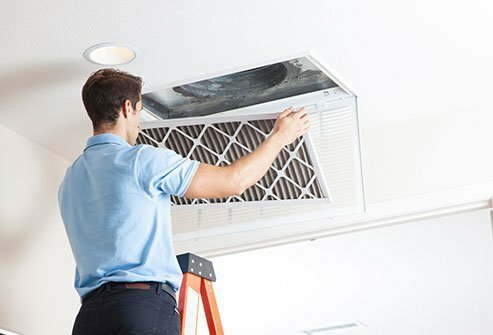 And make sure your home is equipped with an exhaust fan—and use it! Since the dawn of man, pests have caused disease, spoiled food, and wreaked havoc in our homes. That hasn’t changed. What have changed are our methods of controlling pests. Now that modern pesticides are widely available, an estimated three out of every four U.S. homes uses them to keep pests out. With all of that pesticide in our homes, it should be no surprise that some of it winds up in our air, too. In fact 80% of the pesticides we are exposed to come from indoor sources. What’s strange is that studies have found more pesticides in the air inside homes than can be explained by recent pesticide use alone. Where does the rest come from? This could be from contaminated soil or dust that finds its way inside. But it could also be residual pesticide from long ago that collects on household surfaces. Pesticide exposure carries health risks like nerve damage, eye, ear, and throat irritation, and an increased risk of cancer. To reduce your risks, carefully follow the instructions on your pesticides package. Be careful choosing exterminators. If you need to mix pesticides, do so outdoors. And whenever possible, avoid pesticides and find more natural ways to reduce the pests in your home. 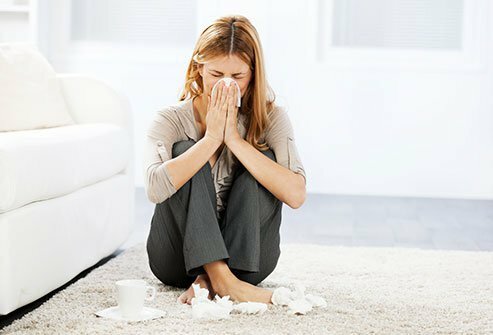 The home isn’t the only place where you’ll find indoor air quality problems. Offices have their own hazards. Copying machines and printers can harm air quality, too. One study found that workers in photocopy centers stand at an increased risk of heart disease, and several studies show a link between photocopiers and sore throats, skin irritation, asthma, and other health problems. That’s because copy machines emit several toxic gasses, such as nitrogen dioxide and ozone. 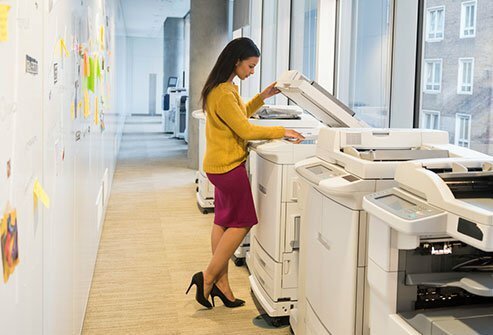 Certain laser printers pose health risks, too. They emit tiny particles small enough to enter the human bloodstream by burrowing deep within our lungs. That can hurt your lungs and heart. One study found that printer emissions are worse when toner cartridges are fuller, and when lots of toner is being used in a printing job. 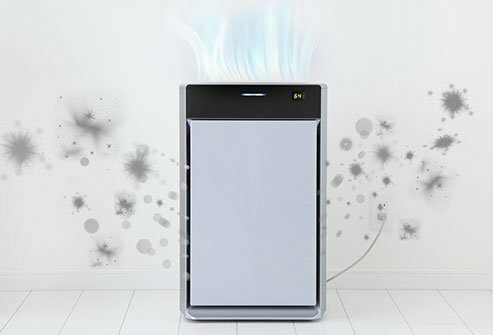 Is Your Air Purifier Polluting the Air? They claim to help clean your air. But some air purifiers may be causing more harm than good. The problem comes from air cleaners that emit ozone. Ozone exists in abundance high in the earth’s atmosphere, but it is only found in small quantities closer to the earth’s surface. One exception is smog, which contains a large concentration of ozone. The EPA has developed a phrase for ozone: “good up high, bad nearby.” When you breathe ozone, it can damage your lungs. 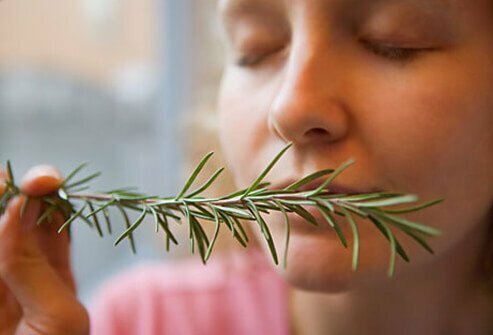 It may make it harder to fight off respiratory infections, too. And the longer you breathe it, and the higher the concentration, the more harm it can cause. These devices have been peddled for more than a century, and for almost as long, scientific studies have found them both ineffective and dangerous. They don’t remove carbon monoxide as many manufacturers claim, and they don’t remove dust or pollen. Sadly they can actually make indoor air quality worse by reacting to other contaminants to create new, harmful byproducts. So if you have one of these devices, ditch it and open a window instead. You use them to stay clean and to smell nice, but many personal care products may be dirtying your air at the same time. 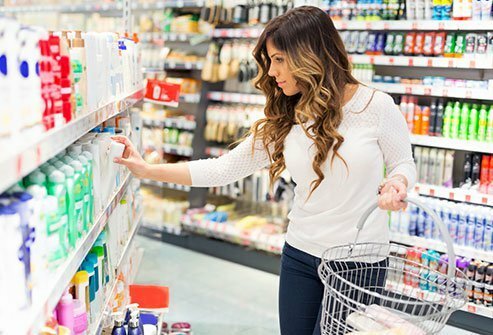 Scientists examined 25 different products, including dish detergents, lotions, soaps, deodorants, hand sanitizers, and shampoos, and found that they create a variety of potentially harmful chemical byproducts. On average, the 25 products each contributed 17 different VOCs, including formaldehyde. The main culprit is fragrance. Some fragrances frequently found at home, such as citrus and pine scents, can pose a wide variety of problems. Some dryer sheets can send children into seizures. Some adults pass out when an air freshener is used. The solution is obvious: When you have the choice, pick unscented personal care products. You may love your furry critters, but do you love what they stir up in your home’s air? Pets who shed such as dogs and cats leave skin flakes known as dander in the air. Dander is an allergen for many, and can cause wheezing, irritation, coughing fits and, in extreme cases, anaphylactic shock. The best remedy is to double down on housekeeping. Keep floors vacuumed and mopped. Have someone who is not allergic wash the walls down regularly too. And remember—the length of a pet’s hair is irrelevant, since it’s the dander that causes irritation. 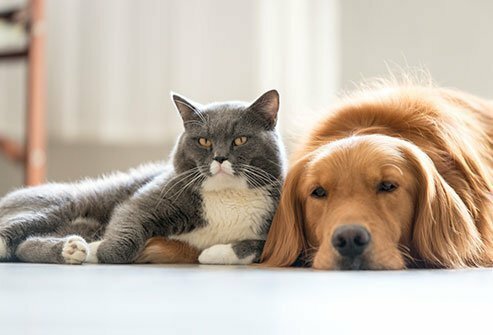 So whether you have an American shorthair or a shaggy poodle, you will need to work on keeping a clean space to keep allergens at bay. Sometimes indoor air contaminants can be living creatures—if by that you mean mold. Mold in the home can lead to some nasty repercussions. Some of the health effects include coughing fits, sneezing, dizziness, fever, and exhaustion. They can sometimes cause digestive distress, too, and can trigger asthma attacks. When mold is found in a home, the main culprit is high humidity. 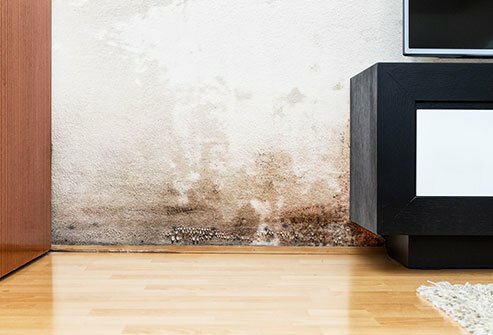 If you leave standing water in your home, or if your surfaces remain damp or water-damaged, these can become breeding grounds for mold. The EPA recommends you keep your house at a relative humidity of 30% to 50% to avoid such problems. There are ways to avoid this problem. Make sure any exhaust fans from the kitchen or bathroom are vented outdoors. Keep your attics and other tight spaces ventilated so moisture can’t accumulate. If your carpets or other absorbent fabrics become water-damaged, clean and dry them as soon as possible—within 24 hours if possible. And if you must use a humidifier, be sure you’re following the manufacturer’s instructions about how to keep the device clean. Proper ventilation helps reduce a large number of indoor pollutants from your home, school, or office. It’s even been linked to better school performance and fewer absences at school and work. This is a good solution for many, but there may be some exceptions. Ventilation also lets more outdoor air inside, and places with high concentrations of smog (and with it ozone) may be introducing other harmful substances into their air. But ventilation has been shown to reduce dust mites, mold, and other organisms that contribute to indoor air pollution. Caress, S. Journal of Occupational and Environmental Medicine, May 2005. Environmental Working Group Healthy Child, Healthy World web site. EPA: “Biological pollutants’ impact on indoor air quality," “Introduction to Indoor Air Quality,” “Ozone generators that are sold as air cleaners," "Pesticides’ impact on indoor air quality," "Volatile Organic Compounds' Impact on Indoor Air Quality." University of Kentucky College of Agriculture. University of Minnesota School of Public Health. Winickoff, J. Pediatrics, January 2009.